What do BI CoE need to do? BI and analytics has come of age, but all the technological advances haven’t minimized the pain of trying to manage a tangle of platforms, tools, data silos and implementations. Best practice organizations attempt to focus on the data and “use cases” in addition to the platforms/tools and technology. A structural way of getting the people, process and technology aligned is the BI CoE structure. a focus on making BI projects repeatable. 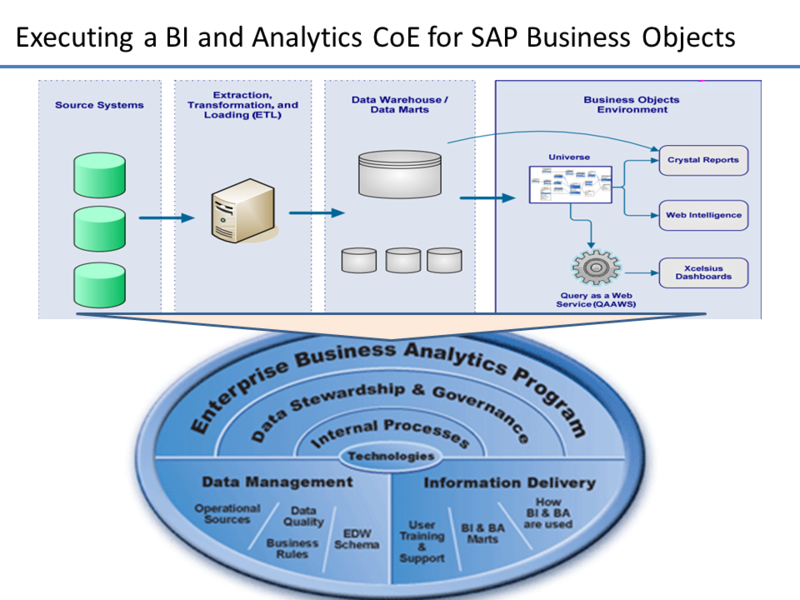 An analytics CoE builds on the BI platform and provides an integrated environment for predictive and descriptive modeling, data mining, text analytics, model management, forecasting, optimization, simulation, experimental design and more. Insourcing or Outsourcing CoE – What is the Right structure for a CoE? Have confidence in your team to do meticulous planning and flawless execution. The best option is usually a hybrid model – a mix of insourced and outsourced. The metrics you typically want to optimize in any structure are Cost, Quality, Productivity, Innovation and Speed-to-market. In a hybrid model think through which resources are inhouse and which resources can be outsourced – Executive Sponsors, BI Leadership, Program and Project managers, Business Analysts, Architects, Administrators, Developers, Data Stewards, Data Modelers, and Data warehouse analysts. Also with data being governed by various Data Privacy laws (see below International and U.S Data Privacy Legislation) think about which enterprise-wide data integration initiatives can be inhouse vs. outsourced — data warehousing, data migration, data consolidation, data synchronization, and data quality, as well as the establishment of data hubs, data services, cross-enterprise data exchange, and integration competency centers. Think through different types of data and which laws impact each by geography – personal privacy data, client data, internal process data, and B2B data. The proper execution and implementation strategy must specifically address each of these issues. See http://www.slideshare.net/jwboyer/the-nielsen-company-bi-coe-a-case-study — Presented at IBM Cognos Forum 2009. This case study describes the challenges in designing and implementing a BI COE. You see how The Nielsen Company leverages internal staff in the BI COE to support a total of 30,000 employees and a distributed global Cognos development environment. See http://bi-insider.com/wp-content/uploads/2011/01/Business-Objects-and-BI-COE.pdf — How AMTRAK implemented a BI COE around SAP Business Objects. 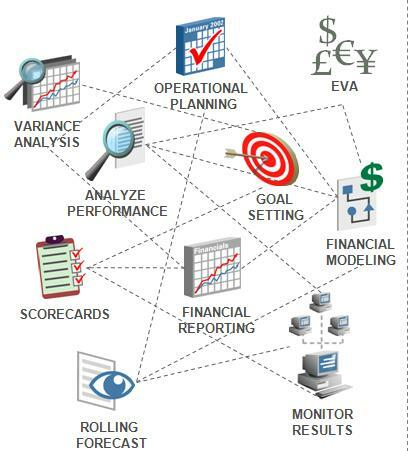 See http://www.saama.com/in-support-of-business-intelligence-/– How a BICOE can be used to reduce costs and improve productivity of an enterprise Business Objects implementation. Structuring a CoE in some business which handle Personally Identifiable Information (PII) might require some additional attention to various data privacy laws. Good tutorial on data analysis. Thanks for sharing. Under your related articles section, the link to the article “Report Governance is Key to Consistent Business Information” has changed to http://athena-solutions.com/report-governance-is-key-to-consistent-business-information/ Thank you for fixing this.